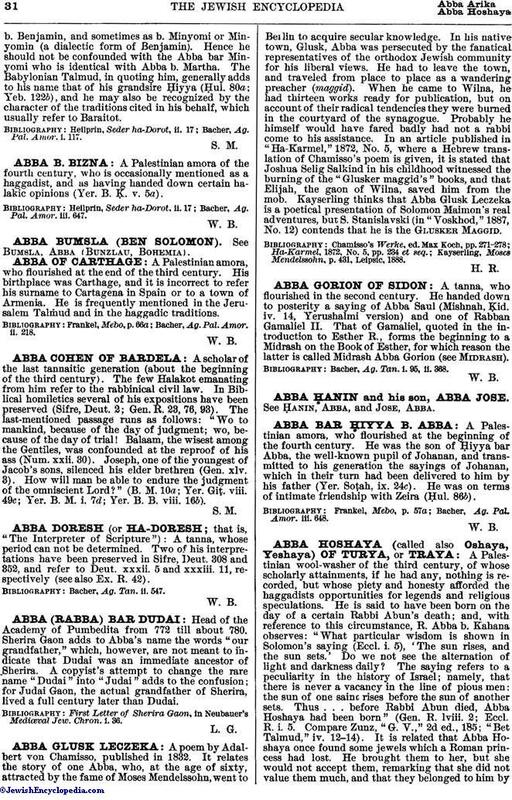 A Palestinian amora of the fourth century, who is occasionally mentioned as a haggadist, and as having handed down certain halakic opinions (Yer. B. Ḳ. v. 5a). Bacher, Ag. Pal. Amor. iii. 647.